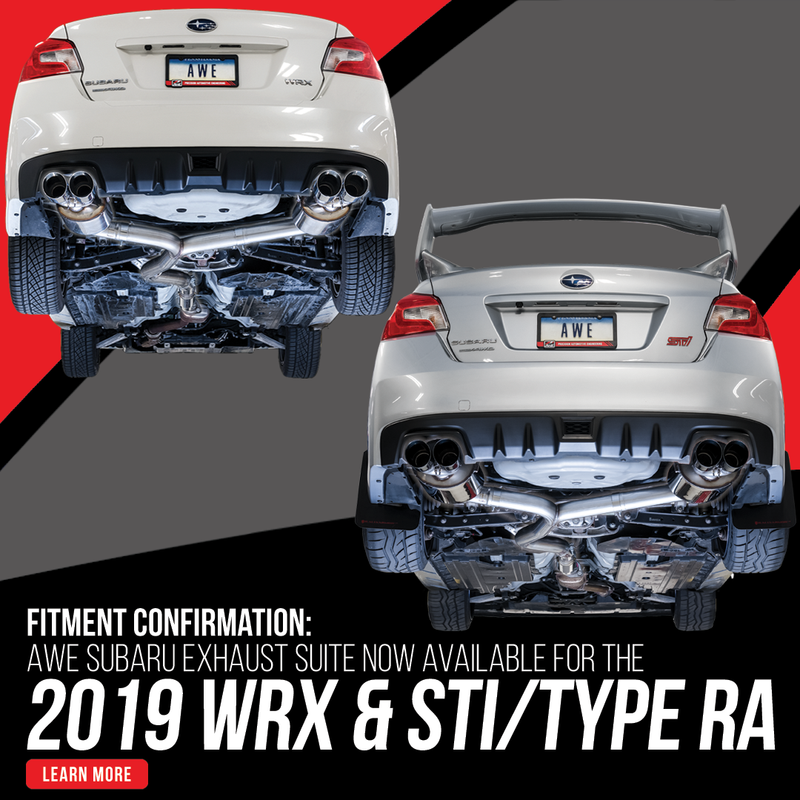 Presenting the AWE Exhaust Suite for Subaru VA WRXs. Available exclusively through RallySportDirect.com. The new rumble. The AWE Performance Line, available now. AWE Touring Edition Exhaust for VA WRXs. AWE Track Edition Exhaust for VA WRXs. Last edited by AWE; 04-28-2018 at 11:16 AM. A fresh Touring Edition Exhaust for the VA WRX installed at HQ. Can you share some details and pricing of the conversion kits? I would love the Track Edition for my WRX but I am kind of worried about it being too loud so the idea of being able to easily convert to mufflers is nice. Sure thing. The conversion kits consist of the axleback portions of the systems, and clamps/tips are simply transferred over. Track to Touring is $599, and Touring to Track is $299, respectively. I picked up the AWE Touring exhaust for my 2018 STi this week. Installed it last night in about 2 hours. It was 106F in the garage so I was moving a bit slow. The install was super easy. Everything fit exactly as it should. This exhaust is 3" all the way back to the mufflers. The stock exhaust is 2.5" up to the Y where is squishes down to 1.9" from the Y to the mufflers. The sound is awesome! I love it! Happy you're enjoying the new rumble. If and when you take a video clip or two, post 'em here (it's the STI thread). Sweet, can't wait for the vid! 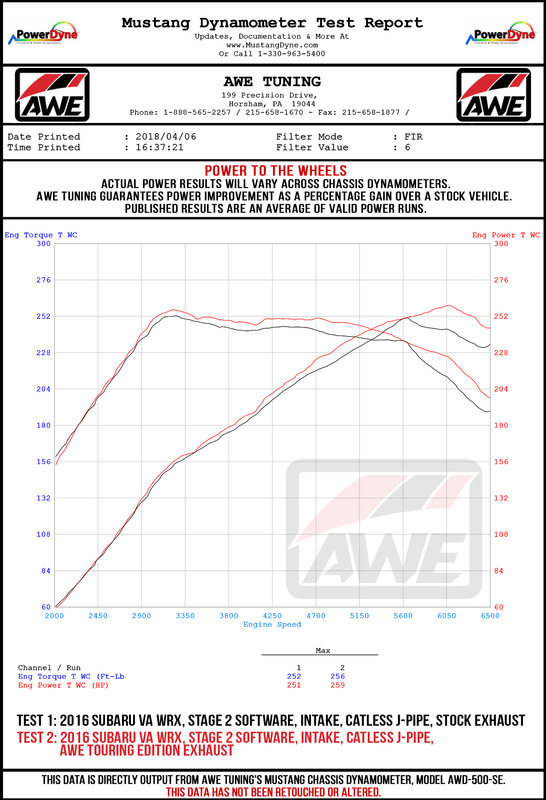 Learn more about the AWE Exhaust Suite right this way. Last edited by AWE; 03-11-2019 at 03:09 PM.